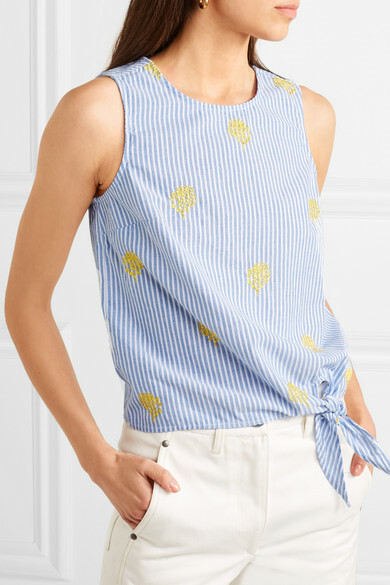 J.Crew combines two of the best things about dressing for summer - fruit patterns and light, breezy fabrics - to create this cotton-poplin top. 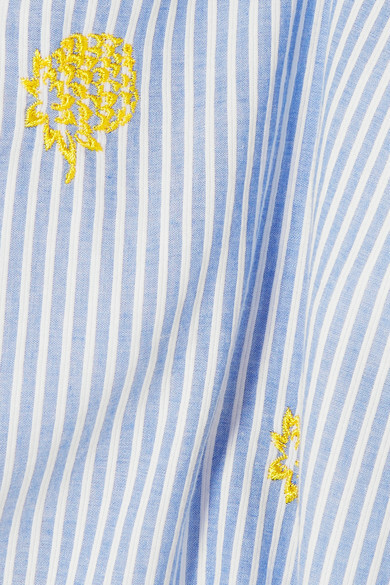 It's embroidered with pineapples in sunshine yellow and finely striped in blue and white. 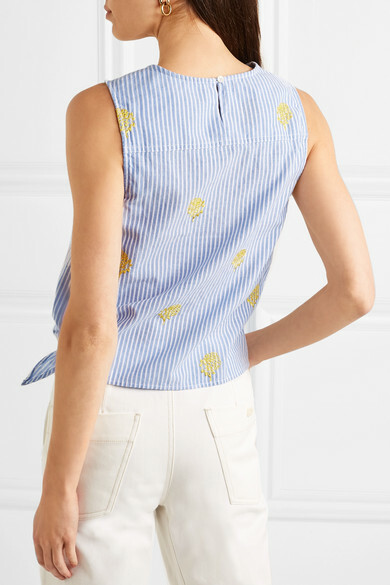 The side tie hits just above the hip, so wear this piece with jeans or skirts that sit high on the waist. 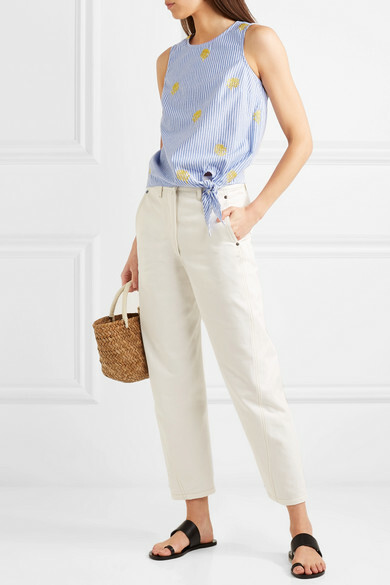 Shown here with: Goldsign Jeans, Kayu Tote, ATP Atelier Sandals, Laura Lombardi Earrings.